Having two bathrooms for the for of us. The balcony. The code system instead of keys. The bakery next to the apartment. The owner's quick answers to our questions before and during our stay. The location was excellent, everything was in walking distance. The apartment was very tidy and cozy. Car park available too. The hostess, Isabel very friendly and helpful. The place offered everything I wanted . Staff were outstanding and so so helpful. A definite return in the future. A lovely spacious fully equipped apartment. Isabel and staff were great, attentive and helpful at all times. Very clean, well located apartment (2 bed one). Check in and access (plus parking) easy, and hostess was very helpful and friendly. 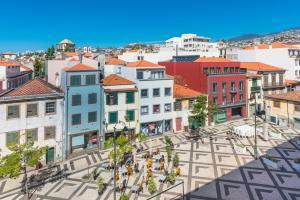 Located on a square in central Funchal - 8 minutes walk to the old town, and close to lots of restaurants and cafes. Mostly quiet - some noise from cars turning on the corner of the square (if at the front), but nothing major. Good air-con in most rooms. Very convenient location for everyday shopping and sightseeing. A spotlessly clean flat and charming host/manageress. This was our third stay here. It is consistently delightful and Isabel and her staff keep the apartments in excellent order. Super position close to shops and restaurants and secure parking a real bonus. Clean and modern apartment with all you need for cooking. There is also all restaurants, cafes, shops and grocery stores in the neighbourhood. Also short walk to Mercado dos Lavradores(Farmers market) and old town. Busses (Also airport bus stop) taxi station and teleferico also nearby. 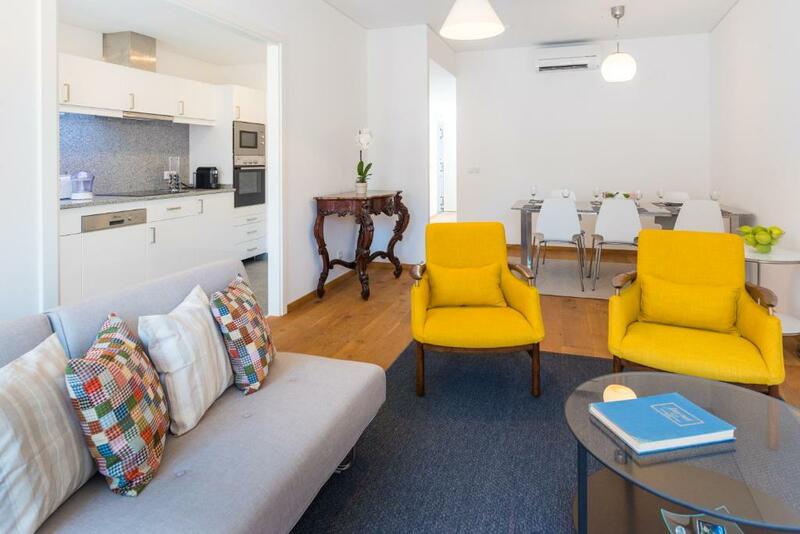 Lock in a great price for Casa da Praça - rated 9.8 by recent guests. 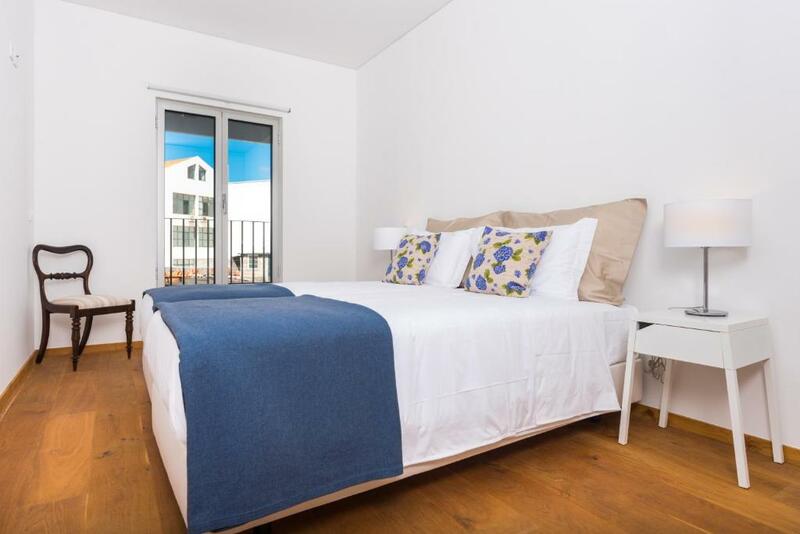 Located 1.1 miles from Marina do Funchal, Casa da Praça provides accommodation and free WiFi in Funchal. All units include a private bathroom and have air conditioning, a flat-screen TV and a fridge. Some units also have a kitchen equipped with a dishwasher, an oven, and a microwave. Cathedral of Funchal is 0.6 miles from the apartment. The nearest airport is Cristiano Ronaldo Madeira International Airport, 11.8 miles from the property. Se is a great choice for travellers interested in Old Town exploring, friendly locals and warm weather. Casa da Praça has been welcoming Booking.com guests since 5 Sept 2016. 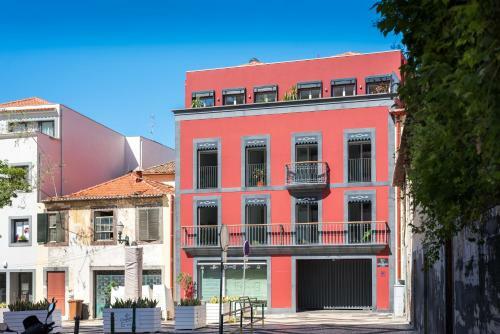 When would you like to stay at Casa da Praça? This apartment has a kitchen fitted with a toaster, a citrus squeezer, a dishwasher, a washing machine and ironing facilities. This apartment is located on the first floor, accessible by stairs only, and offers a balcony with views of an interior backyard. This unit has a kitchen fitted with a toaster, a citrus squeezer, a dishwasher, a washing machine and ironing facilities. This double room is located on the first floor, accessible by stairs only, and has a coffee machine and a electric kettle. A Casa da Praça situa-se no centro histórico da cidade do Funchal. A Sé Catedral, o mercado e a zona velha encontram-se a uma curta distância a pé. Perto encontrará várias lojas de comércio tradicional, supermercados, restaurantes, cafés. 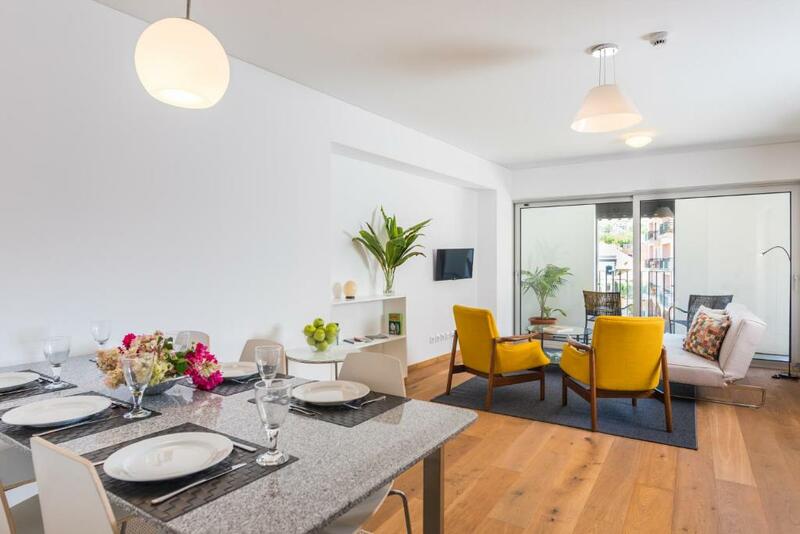 Property surroundings – This neighbourhood is a great choice for travellers interested in Old Town exploring, friendly locals and warm weather – Check location Excellent location - show map Guests loved walking around the neighbourhood! House rules Casa da Praça takes special requests - add in the next step! Please note that the apartments can only be accessed with an access code. For arrivals from Monday to Friday until 19:00, check-in will be done on site by a member of the team who will provide the access code. For arrivals after 19:00 and check-ins on Saturday, Sunday and bank holidays, the code will be sent to the guests in advance. Please inform Casa da Praça in advance of your expected arrival time. You can use the Special Requests box when booking, or contact the property directly with the contact details provided in your confirmation. Coffee making machine - made one small cup at a time. Would be nice to have a larger machine to be able to prepare several mugs meantime. Unfortunately, the nearby square has recently been adopted as a hub for some anti social behaviour. Isabel is acting in conjunction with the local authorities to address this issue. This property was an amazing surprise. A large apartment that worked perfectly when travelling with kids. Great location, just a few minutes walk from old town and sea-front. There was a "A Confeitaria" right below the property, which opened at 07:30. This made breakfast easy! There are enough restaurants at walking distance from the property, including a one-star Michelin one. A supermarket at walking distance from the property just made the day! The host Isabel was great in responding to messages. Even though she could not guarantee early check-in, when we reached the property before the check-in time, I was able to get in and use the room! A late check-out was not possible but we were able to leave the car and luggage at the property, which worked out equally well. Excellent Location and everything is brand new in the apartment. Isabel, our host, was quick to answer all our questions from the time we booked the place to the time we left. She is simply the best! We will definitely stay here again next time we come back to Madeira. The apartament is freshly built. Furniture are new, apartment is very clean. Situated close to city Centre. With a parking place in garage.